A collection of 45 jigs, set tunes, polkas, mazurkas, waltzes and schottisches and 2 songs. 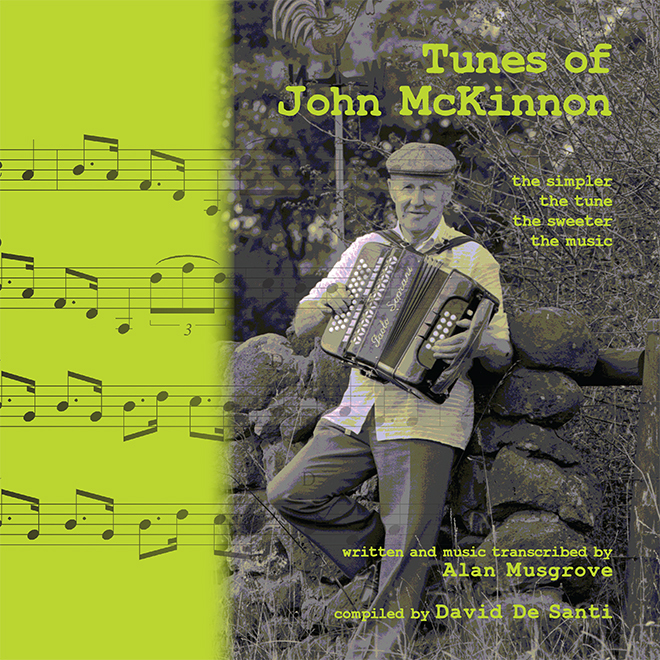 Written and music transcribed by Alan Musgrove and designed and compiled by David De Santi. John McKinnon was a traditional dance musician from the Ecklin South district of Victoria, between Colac and Warnambool. The book was launched at the 26th Illawarra Folk Festival held in January 2010 by Peter Ellis.